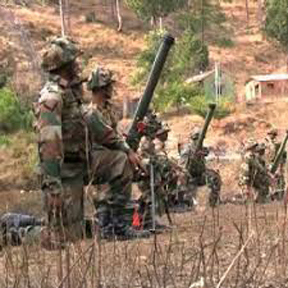 Jammu : Indian and Pakistani troops traded fire overnight on the international border in Samba district of Jammu after the BSF reacted to ''suspicious movements on the border''. "At 10.55 p.m. yesterday (Thursday) BSF troops at the Regaal border post of Samba district noticed some suspicious movements following which they fired four to five rounds of light machine gun fire," a senior police officer said here Friday. "Pakistan Rangers at the Dhandhar post on their side also fired a few rounds in retaliation." "Firing exchange between the two sides continued for sometime," he added.